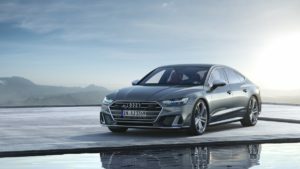 It is now official – Audi has lifted the wraps from its new S6 sedan, S7 Sportback and S6 Avant, all of which are powered by a V6 TDI engine… Huh? We all have got used to Audi models that bare the ‘S’ badge to slot a dynamically tuned petrol engine along with the “VRRR PHAAA” stigma strongly associated with it. This time, Audi has transitioned that norm with the introduction of an oil burner to the ‘badge of honor’. 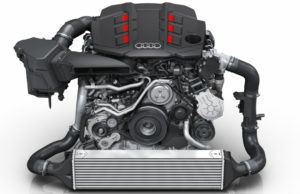 Honorably so, the new 3.0litre V6 TDI engine has been combined with an electrical powered compressor with a 48-volt primary electrical system, a combination that affords the S6 and S7 range with 257kW and 700Nm of torque. This setup sends power to the Quattro all-wheel drive system via a standard 8-speed transmission. 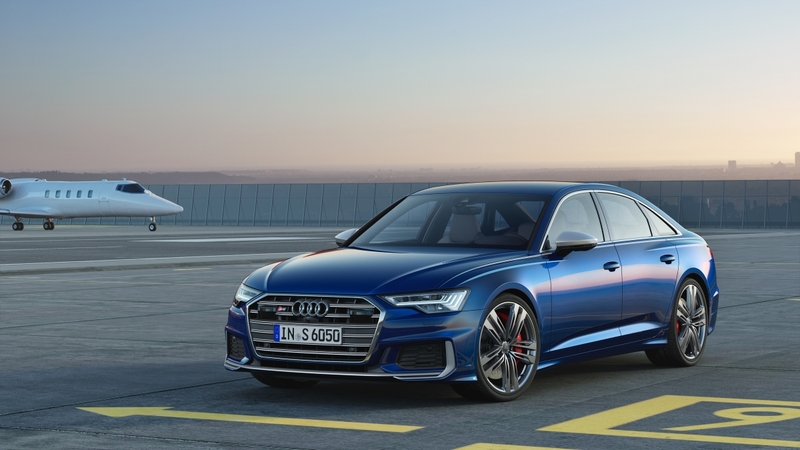 The result – a 0-100km/h sprint time of 5.0sec for the S6 sedan, with the S6 Avant and S7 Sportback taking a tenth of a second longer over the standard sprint time of the lighter S6 sedan. Top speed is electronically limited to 250km/h across the line-up. Not only has the electronic powered compressor enabled heightened torque figures and improved starting performance but it also eliminates any hint of turbo lag – basically the electric supercharger provides a repeatable boost function when accelerating. This means the EPC pre-empts any hint of turbo lag, and enables high responsiveness and powerful acceleration in every driving situation. Design-wise, all models benefit from distinct and sporty features that emphasize their ‘S’ nature. 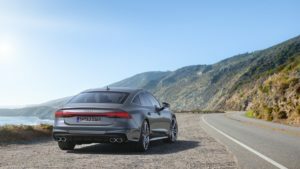 For starters, the S6 sedan and Avant benefit from a horizontal splitter in aluminum look that is linked to the two air inlets and ends with the two winglets at the air ducts. 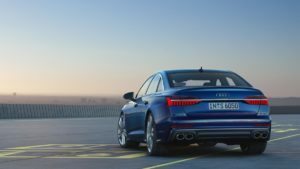 At the rear, the S6 features an integrated spoiler that visually extends the trunk lid. Summing up the porty look at the rear is an aluminium diffuser that houses the S-specific tailpipe trims. The S7 on the other hand, benefits from a wide, low Singleframe grille with lamellas in aluminum standard and a corpus in dark chrome matt. The air inlets are enlarged, with bold contours, and their honeycomb-structure inserts come in titanium black. The blade running through them is in a gleaming aluminum look, as are the exterior mirror housings in aluminum. Other distinguishing features include funnels in the air inlets and the angular trim strips on the side sills. The interior design of all models is typical of the S range, which includes black color schemes, sophisticatedly sporty inlays, color-contrasting stitching as well as model-specific equipment details that ramp up the sporty driving experience. Standard equipment includes 20-inch rims in an S-specific wheel design, or MMI navigation plus including Audi virtual cockpit with 12.3-inch display. As a standard feature there are also Alcantara sport seats in the S6 and super sport seats in the S7. Four-zone automatic air conditioning completes the standard specification. 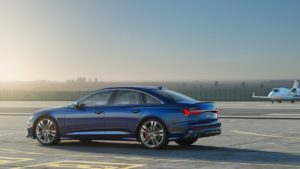 The new Audi S6 sedan and S7 Sportback are a definite for the Mzansi market, with only the S6 Avant highly likely not to be available. Stay tuned for confirmed Mzansi launch dates and pricing.